People have different interest in every matters, here also in whatsapp some people need to have bigger fonts in their chat, where as some other likes smaller font size. 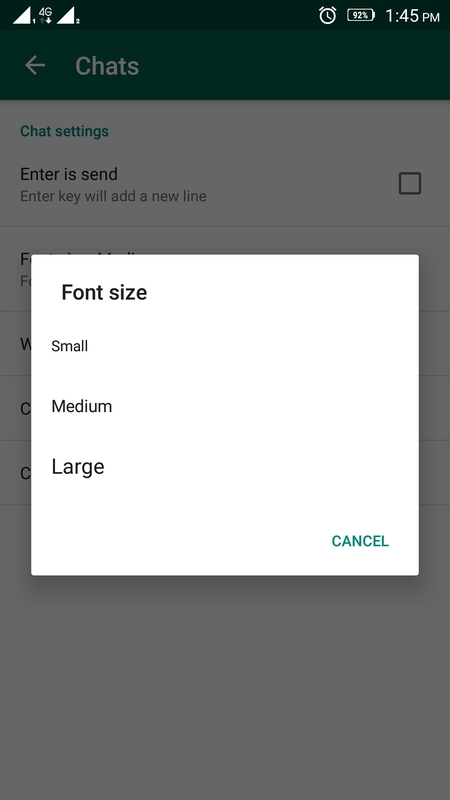 Here the steps to change the font size of your WhatsApp chat. You can set it Normal, Bigger or Small. 1. 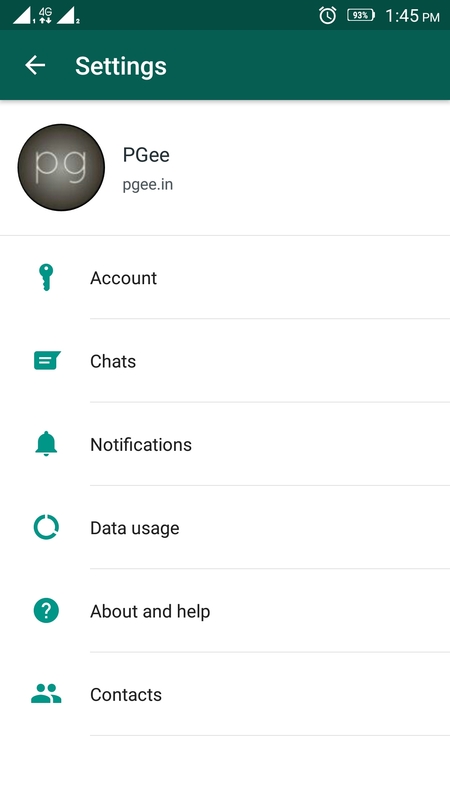 Go to settings in the WhatsApp application. 2. 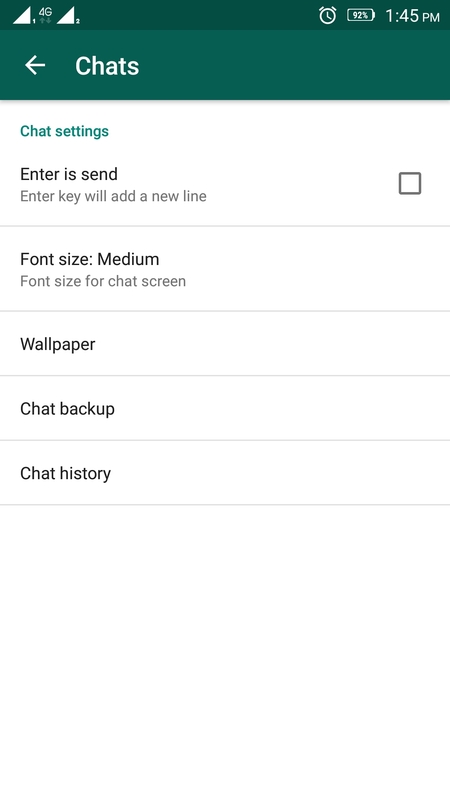 In the settings click on the Chat section. 4. You will see a popup to choose from the available options such as Small, Medium and Large.